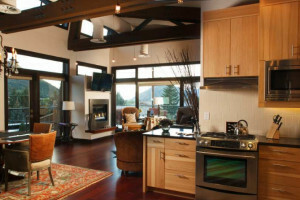 What you can do in Jackson Hole off the slopes. Jackson Hole offers some of the best downhill skiing and snowboarding in the world – but -- what can you do if love Jackson's snowy environment but you're not into launching yourself down the side of a mountain? Yes, you read it correctly ... mountain biking in the snow. Snow bikes come with big fat tires and allow you to ride along groomed or snow packed trails. This is a great winter activity for non-skiers. Enjoy views of the Tetons from areas you can typically only access on snowshoes and cross country skis. Either rent a snow bike or join a guided tour. If you're taller than 3 ½ feet, you can safely enjoy careening down King Tubes at Snow King Resort.. Tubers of all ages have a blast on this groomed hill, maintained with cushioned safety barriers. You'll feel on top of the world and have a breathtaking view when you take a tram or gondola ride at Jackson's local ski resort. Stop at the top and have a cup of hot chocolate, hot toddy, or dinner. Fun for the kids and oh so romantic for adults! Kids and adults love the fun and romance of horse drawn sleigh rides in Jackson. Everyone can pose with the horses after taking a spin, and sleigh ride providers often serve a hearty dinner. If you're visiting Jackson in January, be sure and find a spot to watch the annual pedigree sled dog race. Don't be surprised to hear dogs howling on various snowmobile trails since area outfitters share the same passages. Your very own cowboy guide will take you and your group out in a horse drawn sleigh to within 20 to 30 feet of hundreds of elk. Wool blankets on the sleigh will keep you toasty warm as you learn the history and issues regarding the Refuge. 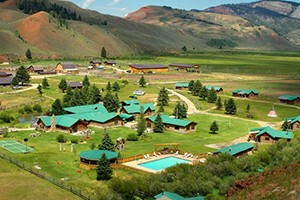 One-hour rides depart frequently throughout the day from the Jackson Hole and Greater Yellowstone Visitor Center from mid-December to April. Other than snowshoeing, this was my favorite activity in Jackson. Local rentals and full gear and guides are available to keep you safe and on designated trails. Make your reservations as soon as you know the dates you're visiting. Part of what made snowmobiling so great for me was heading to Granite Hot Springs and taking a swim while my guide barbequed a steak lunch for me and my group. Important tip – bring a plastic bag to keep your towel and other clothes dry while you're enjoying popular GHS. 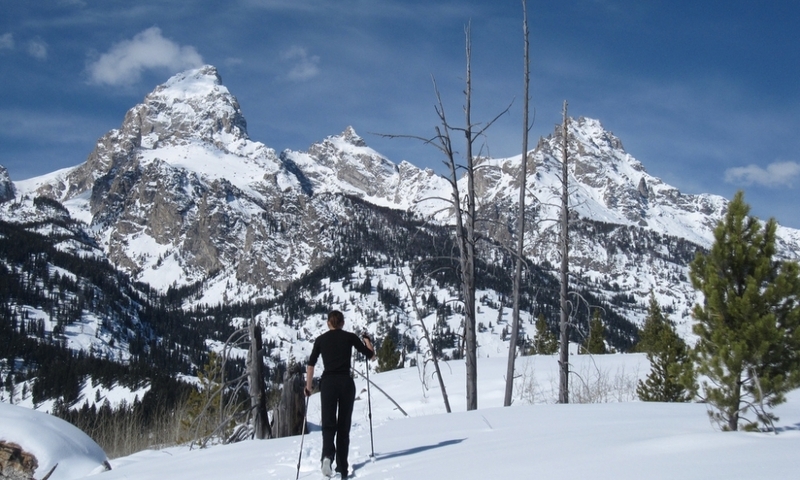 One of the most refreshing ways to tour the Jackson Hole area if you love snow is via cross-country skis or snowshoes. I got some great pictures of the Grand Tetons and saw two moose near the Snake River trail I snowshoed on. Some outfitters offer warming huts or teepees on the way, along with lunch, dinner and beverages. Practice your double axles or catch a Moose hockey game, ice show, or figure skating competition at Snow King Resort. Stay warm inside and take various classes offered by Jackson Hole businesses or the Cultural Art Center. Jackson's acting community is alive and well! Catch some great Western or holiday-style performances at local play houses and theater companies. Just because you like to stay indoors doesn't mean you can't stay in shape. Show off your downward dog at a local Jackson gym or take a class with a personal trainer. Downtown Jackson Square has all kinds of eclectic shops with unique and interesting items so you can bring back a souvenir gift that is NOT a t-shirt for a change. * My friend found the string of buck shot lights he was looking for here, and I found a stylish but warm coat I had to have. After you're done shopping and taking your picture under one of the elk antler arches on the Square, stop for drinks and dinner at the surrounding Jackson eateries bursting with Western décor and flavor. If you like to stay out late, you can play some pool or dance to various live bands. *No offense to t-shirt lovers. There are plenty of cool t-shirts in Jackson. I'm wearing one right now.